Many moons ago recruiting was far from rocket science. Hiring Managers would simply place an advert in the local newspaper and be inundated with response. Fast forward a decade the environment could not be more alien. Attracting and recruiting talent in 2018 is tough. Record levels of employment, skill shortages, Brexit uncertainty and the rise of the 'Digital Age' have all impacted our approach to candidate attraction and recruitment. The modern day recruiter has been forced to adapt their skill set accordingly. We're no longer just a skill assessor or an applicant processor. We're a psychologist, a marketer and a detective, tasked with making recruitment more efficient and effective. With an ever-evolving candidate landscape and a wide-array of digital channels at our disposal, how do you identify the right recruitment tools for your business? In this article we uncover the most pressing concerns amongst high-growth organisations and shed some light on the digital tools and techniques required to win the war for talent and eclipse your competition. If you're involved in the recruitment process at a high-growth business you're in the most fortunate/ unfortunate position. Let me explain why. You've hit the proverbial lotto, you're what so many businesses aspire to be. 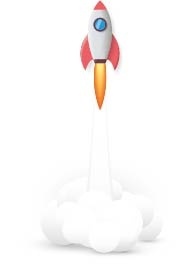 Your talented team are propelling your business to another planet. However, this business utopia has a unique set of recruitment challenges. This growth means that you need to be able to attract, identify and recruit superstars quickly. 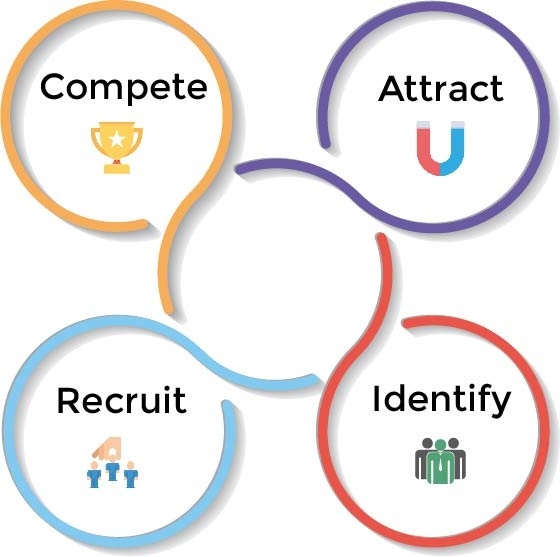 A winning recruitment strategy must be adaptable and campaigns need to be created and deployed at an unprecedented pace. If you've hit 'overnight stardom', this new experience can be daunting. Failing to attract quality applications and hire talented employees can directly impact business growth, projected revenue and place unneeded stress on understaffed departments. Although scary, exciting and challenging it's important to note that you're not alone! 92% of high-growth businesses say they'll need people with skills that are not currently in the business within the next five years. 75% of high-growth businesses say that recruiting talent is a challenge compared with 59% of other businesses. 94% of high-growth businesses say identifying and recruiting new talent is vital for the future growth of their business. 88% of high-growth businesses expect an increase in competition for talent in the next year. Source: People Power, Grant Thornton 2018. As you can see from the recent Grant Thornton's research, recruitment as a whole is a national headache. To lead your business to hiring success where better to start than learning from the best? 'If you can't 'beat em, join em! ', so they say. Luckily, you're in the right place. At Talentvine we've worked closely with hundreds of UK businesses from start-ups to FTSE giants overcome their hiring challenges. Here's a brief introduction to the strategies and tools employed by those ahead of the hiring curve. Top talent isn't on the market for long. To win the race for talent businesses need to have the tools and the know-how to quickly identify diamonds amongst the sea of glass. However, being able to identify talent is meaningless without the ability to fast track candidates through the recruitment process. So, how do you identify talent and manage candidates? Do you have the right tools in your digital tool box? Having a candidate management tool such as an Applicant Tracking System in place can save recruiters hours of time when sifting through CV's and communicating with applicants. A good ATS will allow you to multi-post your vacancies to a choice of job boards (both free and paid), accumulate response in one central location and automate candidate communication. Advanced reporting (no, not a spreadsheet!) is another key ATS feature that enables users to identify and understand bottle necks in their recruitment process. Reporting provides key learning that enable those responsible for recruitment to improve efficiency and make data-driven recruitment decisions. For more crucial ATS capabilities take a look a at our top 5 ATS features for identifying more talent blog. Would you like some more tips to winning the race for talent? Well, here's 3 more for you! Start learning now. To win the the war for talent high-growth businesses need to have long term strategies in place to attract steady streams of applications for years to come. To stand out in the crowd and remain competitive, employers have to create an engaging career site that actively showcases their employer brand. Career sites are a great source of hiring. A study by Zetty found that 77% of job seekers visit a company website to look for jobs, in turn career sites account for 27.35% of all hires. Employer branding is another invaluable tactic to stand out from the crowd. Organisations that invest in employer branding are 3x more likely to make quality hires according to Brandon Hall Group. However, having a great career site is not enough, to be successful businesses need to be actively pushing traffic to their website. 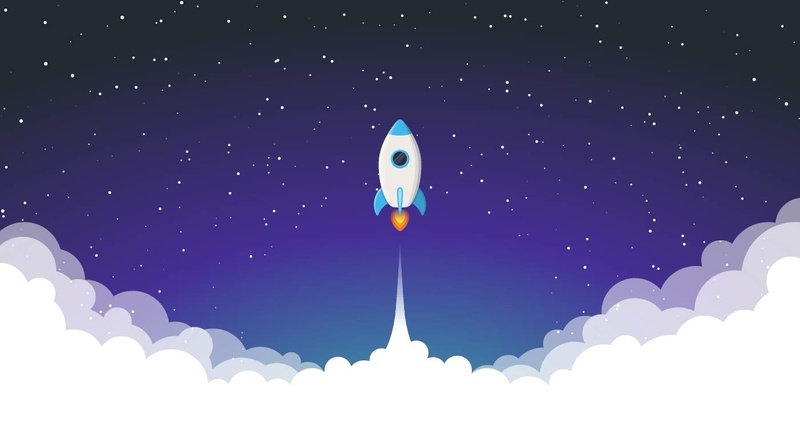 Research conducted by Apptitude Research Partners found that 'Best-in-Class Organisations' are 55% more likely to proactively build and expand their candidate pipeline regardless of their current hiring needs. Want some additional tips to winning the race for talent? Take a look at our latest blog containing in depth tips to attracting more talent and cementing yourself as an employer of choice here. 4 actionable tips to win the war for talent. 3 actionable tips to win the race for talent. Enabling High-Growth Businesses to Grow Faster, for Less. Speak to us today about launching your campaign.